Recognizing that Portland beer drinkers enjoy a huge variety of local styles and flavors, and that connoisseurs aim to preserve the quality of their favorites in pressurized growlers, a decade and a half ago three local craft beer lovers designed an innovative solution. 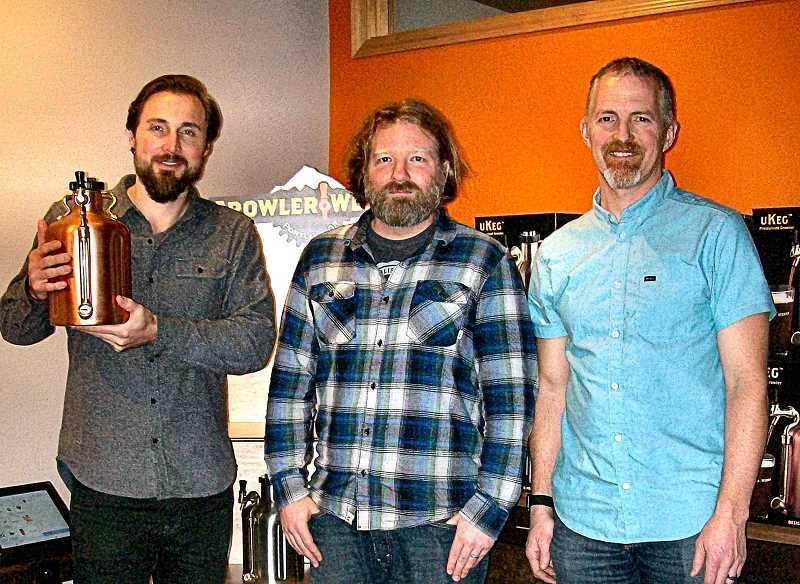 All three had engineering backgrounds – Shawn Huff, Evan Rege, and Brian Sonnichsen – and their "uKeg by GrowlerWerks" was financed by a Kickstarter campaign. Actually, they say, the uKeg, which prevents oxygen from reaching the contents, keeps ANY carbonated beverage fresh for two weeks. They originally set up their business on S.E. 9th in Brooklyn; but their success has prompted a move to larger quarters. The uKeg, a double-wall, vacuum-insulated, feature-ladenj vessel in two sizes – 64 oz. and 128 oz. – has now been introduced in Europe. GrowlerWerks is partnering with Brouwland, Europe's largest distributor for craft beer equipment and home brewing supplies. With demand rising and the success of their invention seeming secure, it was time for the Brooklyn neighborhood trio to find new and larger quarters in which to expand; and after ten months of remodeling the space, GrowlerWerks has settled in at 3401 S.E. 17th Avenue, in the building formerly occupied by indoor soccer facility "Futsal". The entrance is around the corner at 1690 Haig Street. The 18,800-square-foot warehouse now employs a staff of 28.